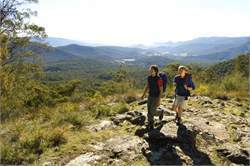 Healesville is famous for its internationally-renowned wildlife sanctuary, home to more than 200 species of Australian native animals. Surrounded by scenic countryside, the town is an important food and wine centre and host to the annual Yarra Valley Grape Grazing Festival. Year-round, visit local vineyards to sample local wines and talk to their makers at cellar doors. 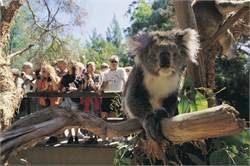 ~Visit the award-winning Healesville Sanctuary, home to Australian Wildlife.~ Visit the Australian Wildlife Health Centre and experience a behind-the-scenes view of a real wildlife hospital. 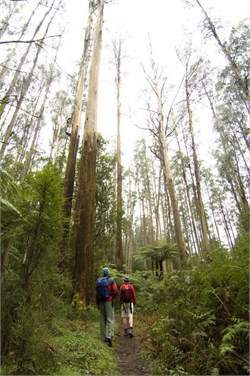 Directions: Healesville is just under an hour from Melbourne on the Maroondah Highway. Travel north-east on the Eastern Freeway, onto Springvale Road and then right onto Maroondah Highway.